CrossFit is all about big results in a short space of time and ‘As Many Reps As Possible’ training – or AMRAP workouts – are one of the best examples of this mentality. These workouts are some of the most challenging and impressive around but they’re not just for CrossFit enthusiasts. 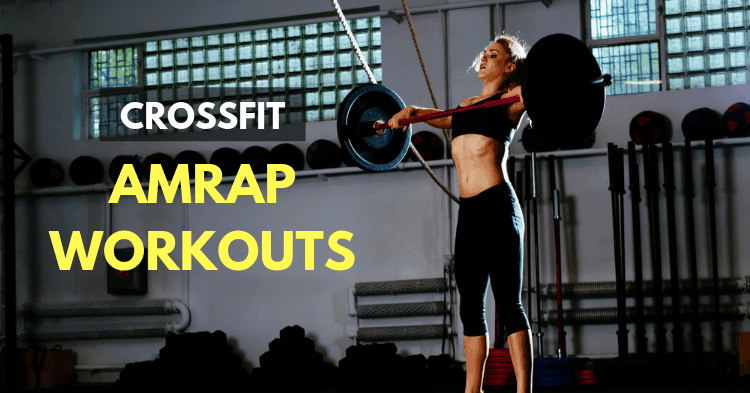 Today we’re going to give you all the details on CrossFit AMRAP workouts, how to use them, and some examples of how to get the best from them! As the name implies, you’re going to be performing as many reps as possible. This is where the name ‘AMRAP’ comes from. These workouts tend to have a specific time – so a 10-minute AMRAP will give you that much time to perform as many reps as possible. “AMRAP -Rounds” workouts provide another awesome tool for getting the most from your training. In these workouts, the “R” stands for rounds. So you are focused on getting through as many rounds as possible. Instead of just counting how many reps you do (a challenge by itself! ), these workouts allow you to string together more than one exercise. We’ll provide examples of both, but these can be great for resting or alternating between easier and tougher exercises. Since HIIT and CrossFit are both popular, there is definitely some overlap. We wouldn’t call AMRAPs HIIT, since real high-intensity training is about putting in maximum effort over a short time. AMRAP workouts just tend to be too long to be considered HIIT. You can’t perform high-intensity exercise for 10 minutes (by definition). If you’re doing as many reps as possible in under a minute, that might be high-intensity. Some AMRAP – Rounds workouts are HIIT. This is one of the benefits they provide, but overall there’s a medium intensity to CrossFit AMRAP workouts. You might think that this type of training doesn’t fit your style of training – but you’d be wrong. Everyone from Bodybuilders to Strongmen to Triathletes can make use of these high-effort, low-rest workouts. The benefits aren’t CrossFit-specific! Why do anything challenging? To get better! Ben Bergeron is the king of CrossFit mental toughness and says that all of his athletes have dedicated ‘mental toughness’ training. This builds character and provides willpower reserves for when training or competitions get really tough. AMRAP workouts for long durations are brutal but getting better at this type of work makes you a better athlete. This type of training is going to help when you have to push yourself – such as during a competition. If you want a great workout on a tight schedule, an AMRAP could be perfect. This type of constant, high-effort workout is going to pack the fat-burning benefits of an hour on the treadmill into a short time. If you work 6x harder for 1/6th of the time, you’re going to have all the benefits in a timeframe that fits your life. This is even more beneficial if you’re trying to get strength and conditioning work done in one session. An easy CrossFit workout would be 1-2 strength exercises and a 10-minute AMRAP. A full workout in under an hour. If you’re pushing yourself to the max for 10 minutes, you’re going to get fitter. CrossFit AMRAPs are used in the training of many athletes to boost their fitness and endurance. This type of high-effort training is a great way to get fitter faster. It’s specific to a lot of popular sports like football and martial arts, as well as the demands of military and public service fitness. Learning to push yourself hard for medium-durations is key to well-rounded fitness and health. This is a fancy word for a workout that adapts to how you feel on the day. You’ve had great days in the gym and awful days – we all have. However, AMRAP workouts are a great way to get the work in without worrying about a specific rep count. You can just get moving and push yourself for the duration. If you feel weak, you’ll just get less reps, while you can really push yourself on a good day. This is one of the best ways to “listen to your body”: AMRAP workouts are tough, but there’s no pressure to hit a specific number of reps – making them a great choice for lighter days (depending on what movements you’re doing). We’re going to be outlining 9 of our favorite AMRAP workouts. These aren’t specific to CrossFit, but they do provide key benefits to functional fitness enthusiasts. The first 3 are strictly bodyweight AMRAPs, while the rest involve some equipment. You can perform most of these at a home gym, and they progress from easy to difficult. It’s totally possible to work through these workouts 1-9, but they get much harder so pick the ones that sound achievable at your experience level! This is a simple workout that’s going to have you breathing heavy. You can never get too good at burpees, so you’re going to be spending 8 minutes racking up as many as possible. This is a reps-based workout, so you want to break it up a little bit and keep track of your rep-count every so often. A simple workout that anyone can benefit from. This involves some of the most classically-valuable exercises, but you can scale based on your needs. This is one of the best ways to get moving and keep yourself hot whether you’re on a light day or just trying to get some conditioning work done after strength training. You’re counting rounds this time, so try and finish up before the timer goes! Ready for a challenge without the gym? This workout is perfect for you. We recommend a short rest between rounds to catch your breath and let those abs relax! This is a super simple workout that requires very little equipment: just a wall ball and a lot of grit! You’ll break a sweat and get some great full-body training. Perfect for light days or after strength work! This is a nice balance between conditioning workouts and weight training. If performed properly, you’ll see leg-strength and cardio gains. It’s also great to incorporate single-leg and anti-rotational work into your training. This workout is a simple, effective way to build functional core strength. However, this is a big mental toughness challenges as it’s the longest AMRAP we’ve discussed so far! This workout is one of the simplest ways to build complete strength and stability. It’s going to challenge your core, legs, and shoulders/triceps all at once. It only requires a single pair of dumbbells, but it’s a complete workout and a great way to get strong and conditioned with objects. This is one of the best ways to spend 20 minutes of your life. It’s a great way to build extreme conditioning and practice some of the most functional applications of strength. Pick a light weight – you’re going to be spending a lot of time with them, so you don’t want to get halfway through the workout and realise you’re spent! This workout requires you, a kettlebell, and ¼ of an hour. It’s one of the simplest workouts around, but it provides a huge amount of difficulty, cardio-training and posterior chain strength. This is a simple but gruelling workout. Expect mental toughness and glute gains! Not for the faint of heart – this is an AMRAP chipper. Combining a long-haul format with the AMRAP structure, you’ll be spending a half hour of pure hard work. The exercises are simple, foundational elements – you can’t be too good at these movements. Improving here is improving at CrossFit. The first – and most important tip – is to use the right movements. AMRAP workouts are very demanding and you should only do exercises that you’re confident with. Scale exercises to your abilities and choose simpler exercises where possible/necessary. It’s easy for technique to break down in a long AMRAP, so focus on movement quality and stuff you know you can do well for 10+ minutes! There’s a reason we don’t do 10-minute AMRAPs with deadlifts and snatches: because they’re high-risk when your technique breaks down. On the other hand, burpees are brutal, but don’t pose much risk. When you’re approaching this kind of workout, you might be tempted to push yourself the whole 10+ minutes. This is going to be a marathon, not a sprint. Think about how long you have and break the larger task down into smaller chunks. If you’ve got a 15 minute AMRAP of burpees (to use our last example), then focus on doing ‘clusters’ of 10 reps at a time. 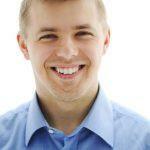 This type of plan sets a consistent pace and allows you to catch your breath. If you keep pace for the whole workout, you’ll have better results than rushing from the start and exhausting yourself! If you’re working with a new exercise, the best approach is to spend a little time before your AMRAP workouts getting familiar with what you’re supposed to do. Even simple exercises benefit from technique work – doing the movement properly is going to result in healthier joints and stronger muscles. If you’re going to be doing lots of reps, any movement problems are amplified. Getting things right from the very start is key, so don’t rush yourself. Take your time to perform movements correctly before doing 100s of repetitions! AMRAP workouts are challenging and they provide a certain mental difficulty that makes them draining. The best way to get through this – for most people – is to perform them with other people. If you’re training at a home gym, this might mean inviting a friend around to struggle along with you. If you train at a CrossFit gym, then there’s a good chance you’ll have coaches and other enthusiasts around performing the same workouts. AMRAP workouts are a key part of CrossFit but they can be used by anyone. The two types – reps and rounds – have specific benefits and provide two awesome tools for your training toolkit. Try out the workouts we’ve built above: this type of training might be perfect for your goals. At the very least, it provides a great way to challenge yourself and burn a lot of calories in a short space of time. Never stop experimenting with new ways of training. AMRAP workouts are a cool way to add some variety and keep things fresh!